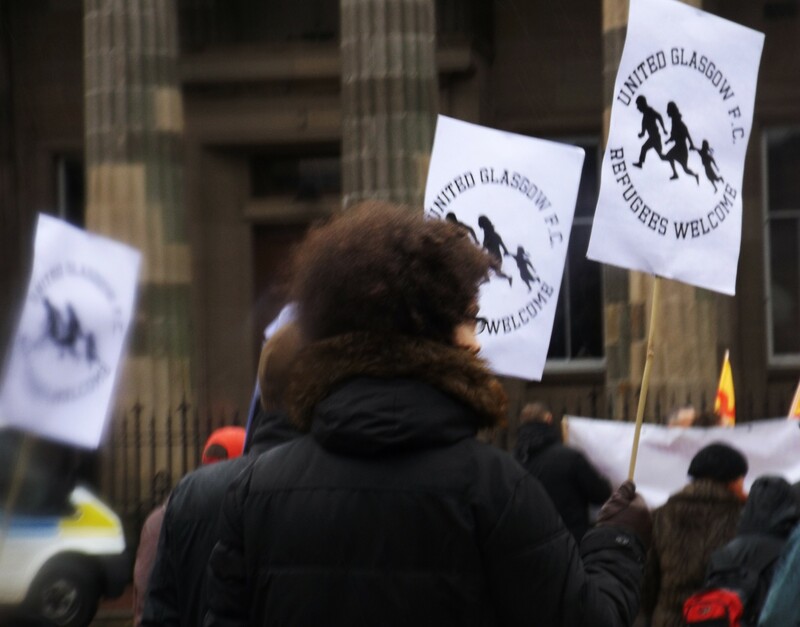 The miserable weather didn’t stop nearly 1000 people gathering for the STUC’s St Andrew’s Day anti-racism march in Glasgow on Saturday, this year themed around welcoming refugees. 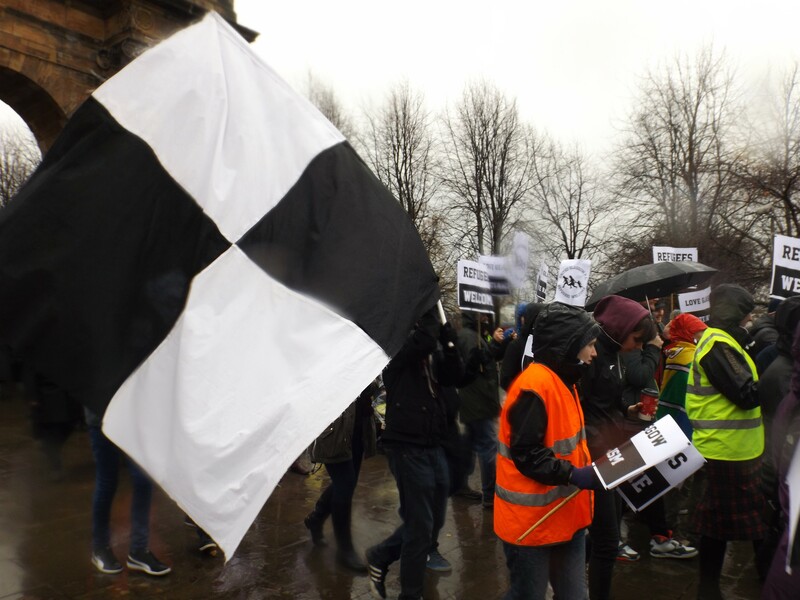 The demo has been held annually for a number of decades, initially organised in the 1980s and early 1990s to oppose attempts by the far-right to claim ownership of St Andrew’s Day. 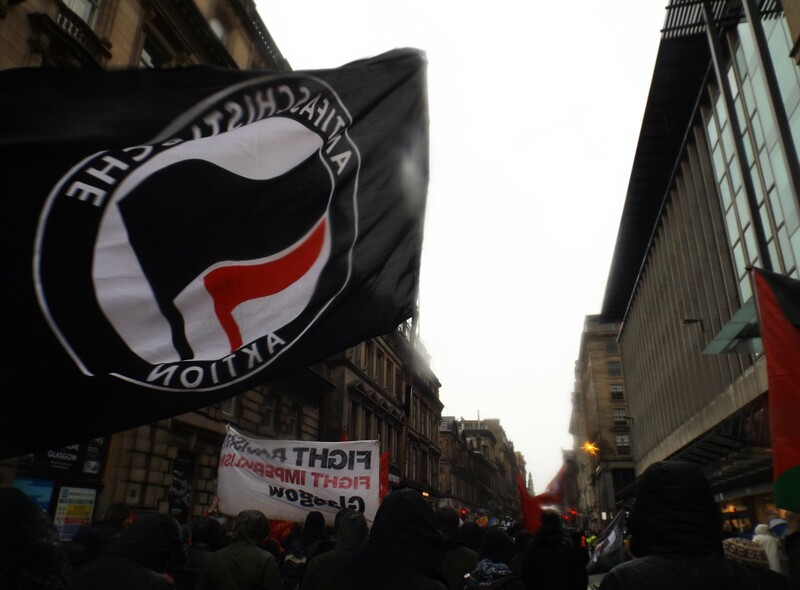 Today, there was little sign of the far-right, despite last weekend’s appearance by a handful of rabid “Right Wing Resistance” members at a refugee solidarity rally on Buchanan Street. 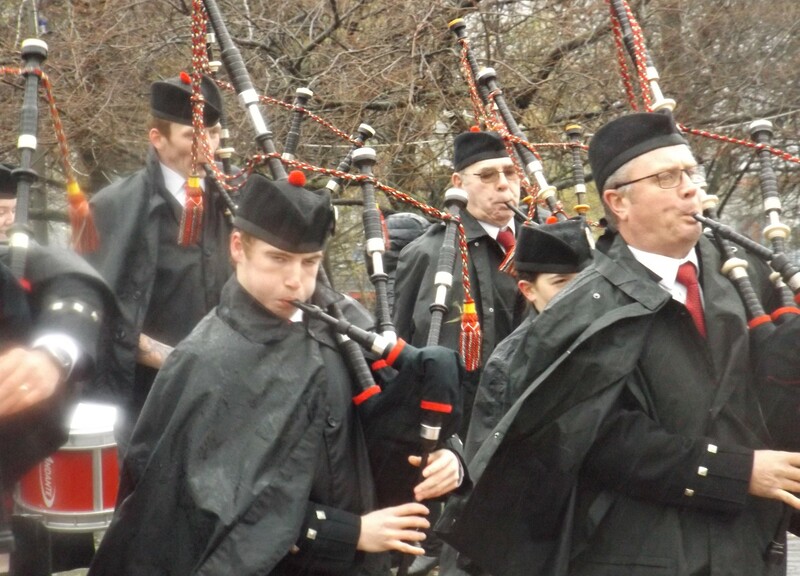 With no sieg-heiling boneheads to contend with, the main source of controversy at today’s demo unsurprisingly came from our pals at Police Scotland, who it’s alleged tried to stop Celtic fans from joining the march. 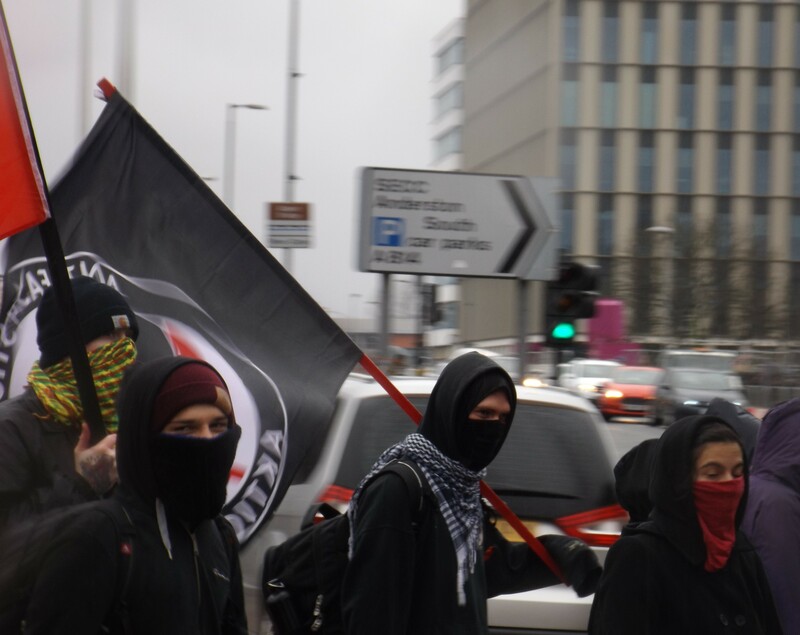 In the end, the usual block of Irish republicans and Celtic fans were able to join the back of the demo, just ahead of their close friends in the SNP. 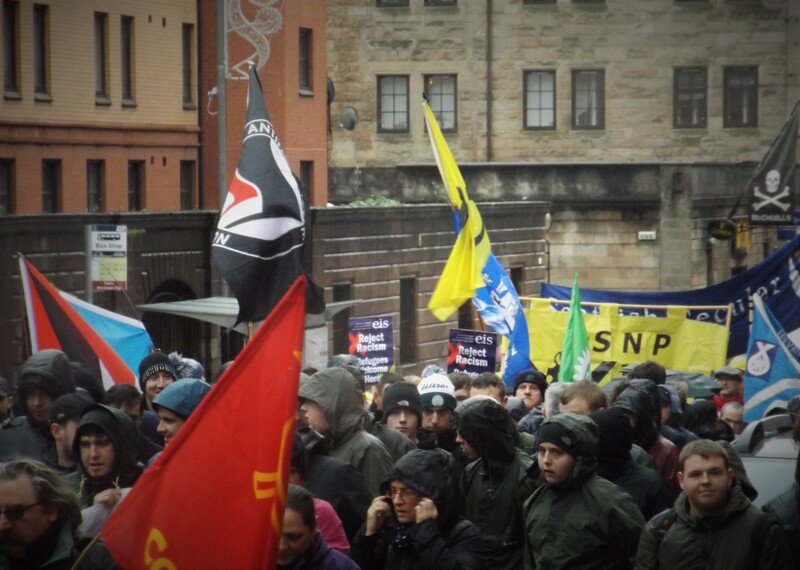 I couldn’t figure out why the SNP contingent had decided to go at the very back of the march, although maybe they were just trying to create as much distance as possible from Red Kez, who could be seen leading the march with a nice Labour umbrella. It’s the new politics in action! Does she have a line on bombing Syria yet, while we’re on the subject? 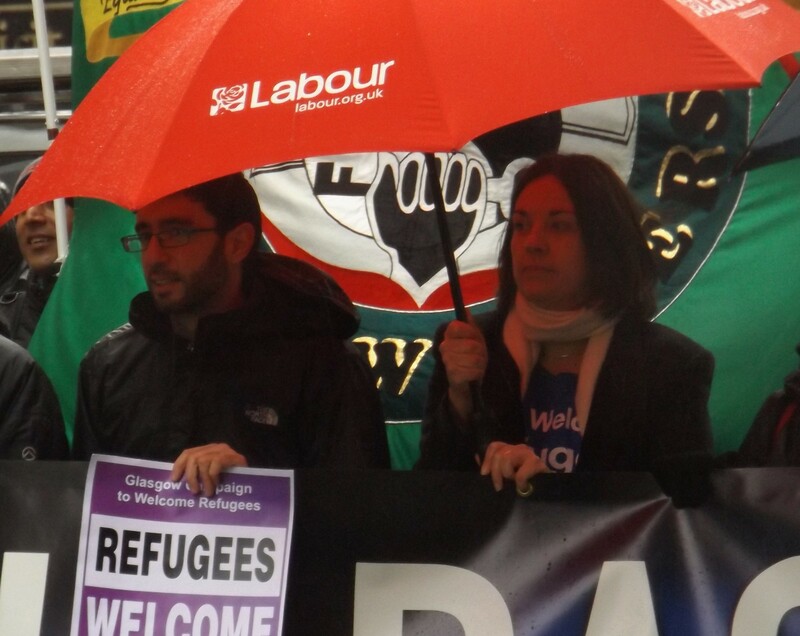 Elsewhere, there was the usual array of soggy placards, wet dugs and wetter people, all there to reinforce the important message of standing against racism and division, and welcoming those fleeing violence and suffering in Syria and across the world. 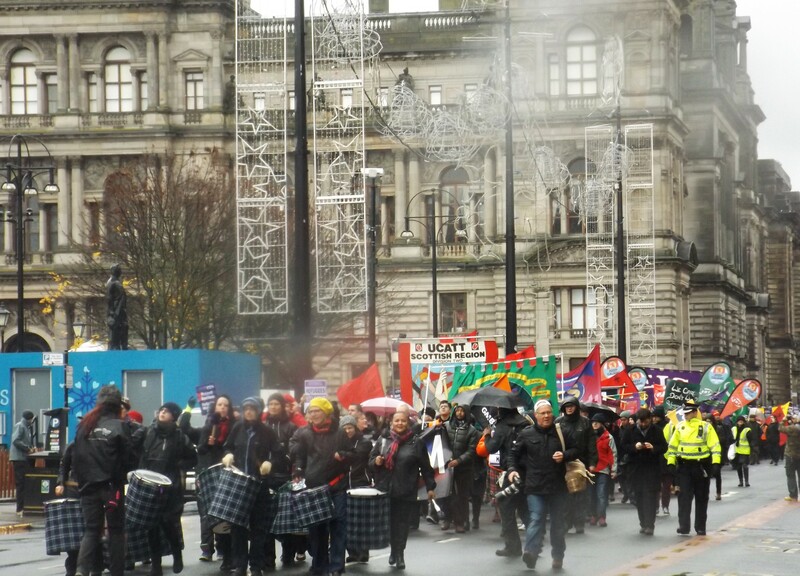 There was a huge climate march in Edinburgh at the same time. 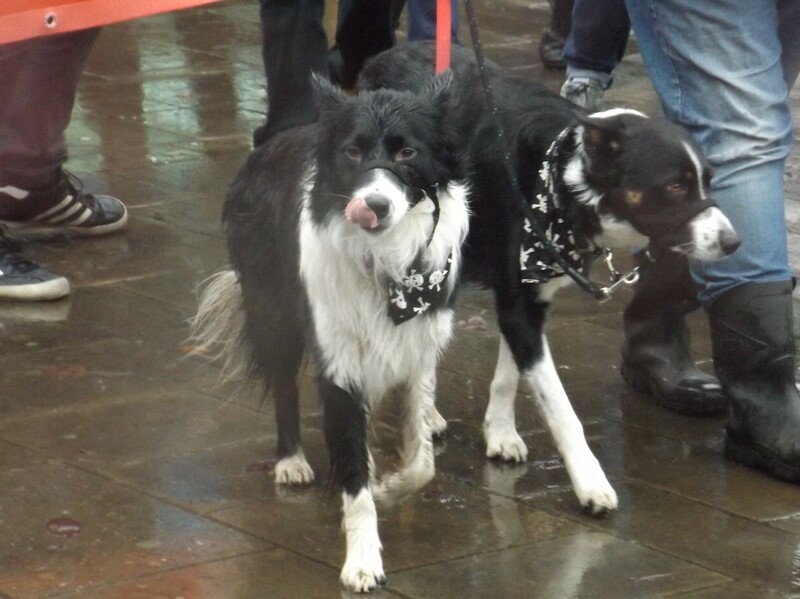 Pity they conflicted with each other.